Buy framed mirrors for that space on the wall that is blank. If you need depth in a room, a mirror can provide it. Looking to make a room look bigger? Consider a framed mirror. Right next to the front door is always a great place to hang a lovely mirror. With so many uses and placement options, it is no wonder that people are logging on and buying their custom-made frame and mirror. Get the look you vision for the space by hanging a beautiful mirror with the frame of your choosing. 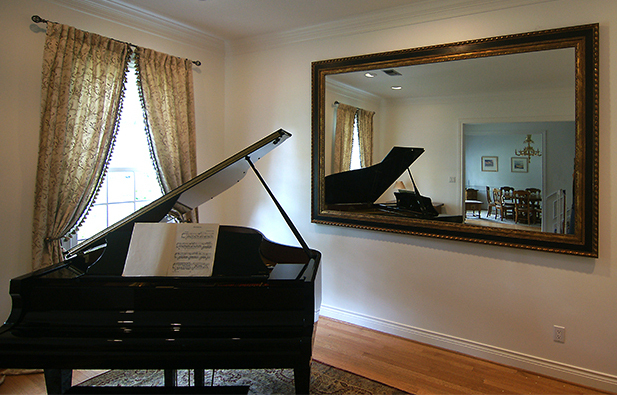 When you log on to buy framed mirrors, you will be pleased to see that there are numerous choices. There is a frame option for every home style and décor. Whether the home is full of beautiful natural wood finishes or packed with sparkling silver or gold finishes; a frame can be made to match. In addition to frame color or finish, the buyer can choose the style of the frame. Consider a gorgeous carved and ornate frame that makes a statement. If large is not an option: that is fine because buyers can also select a slim frame that has smooth finish. The choices are vast which means that no buyer will have trouble finding what they want for their home or office space. The most important part of buying framed mirrors is first, getting the one you want. It is never fun to buy a product that you really don’t like. So first, pick out the one that speaks to you and addresses your needs. Next, take the proper measurements. Nothing could be worse than taking delivery of your custom mirror and having it be too large or too small for the space. A great trick to measuring correctly is using painter’s tape to make the mirror shape on the wall. This will protect the existing wall covering and at the same time, allow the buyer to see where the mirror will be placed and how big it should be. When you are in the market for a great framed mirror, take your measurements and then log on. Get the mirror that meets your every expectation. Buy framed mirrors that match the décor, fit the space, and make you happy.